ANN ARBOR, Mich. - The Michigan football team will not play for a national championship this season. Michigan's College Football Playoff hopes died in Columbus again this year when the team suffered its second loss and dropped below several other one-loss teams. 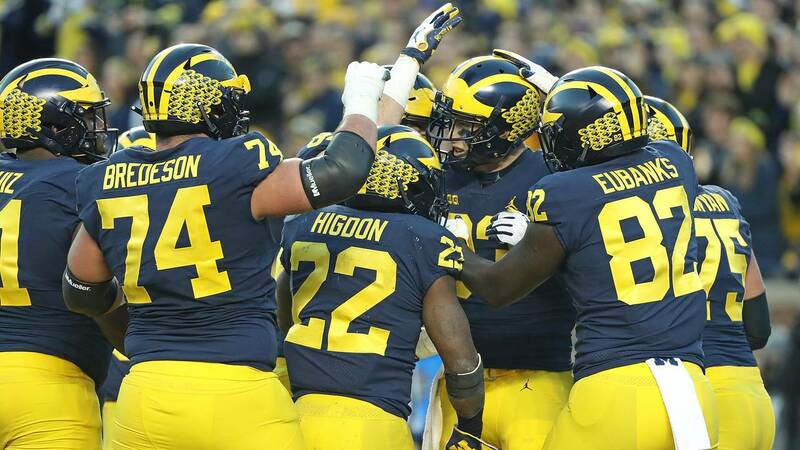 Was there a chaotic scenario last weekend that could have landed Michigan in the top four? Maybe, but all the Power Five conference championship games played out as expected. Now, Jim Harbaugh's team has a Peach Bowl date with Florida, a team it has already played twice since 2015. In the playoff era of college football, it's common for fans to believe bowl games have no importance if they're not for a national title, but that's not the case. College sports are unique in that teams can still have successful years without winning the grand prize, whether it's a conference title, wins over rivals or big bowl performances. That's where Michigan is right now. Here's a look at why the Peach Bowl is important to Michigan's season. Even though the final game against Ohio State was an unmitigated disaster, there's no doubt Michigan took a step forward this season. 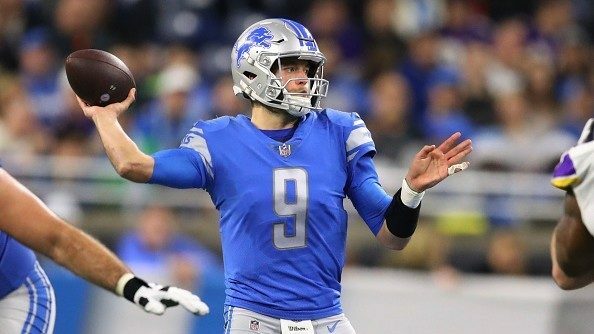 After struggling through an 8-5 year in 2017, Harbaugh needed to rebound against a difficult schedule, and that's exactly what he did. For the third time in four years under Harbaugh, Michigan reached double digit wins. But unlike in 2015 and 2016, the Wolverines showed total dominance over most of the Big Ten. Between losses to Notre Dame and Ohio State, Michigan won 10 straight games, including nine by double digits and seven by more than 20 points. It was a streak that saw Michigan rise from No. 21 in the AP Poll to No. 4 in the CFP rankings. The 2016 season was similar in that Michigan put together a nine-game winning streak at the beginning of the year and looked poised to make its first playoff appearance. Losses to Iowa and Ohio State extinguished those hopes, and an Orange Bowl loss to Florida State left a bad taste for fans. Losing three of the last four games basically erased all the success Michigan enjoyed early in the year. It led into the aforementioned five-loss campaign in 2017. A win against Florida in the Peach Bowl would end the season on a more positive note. 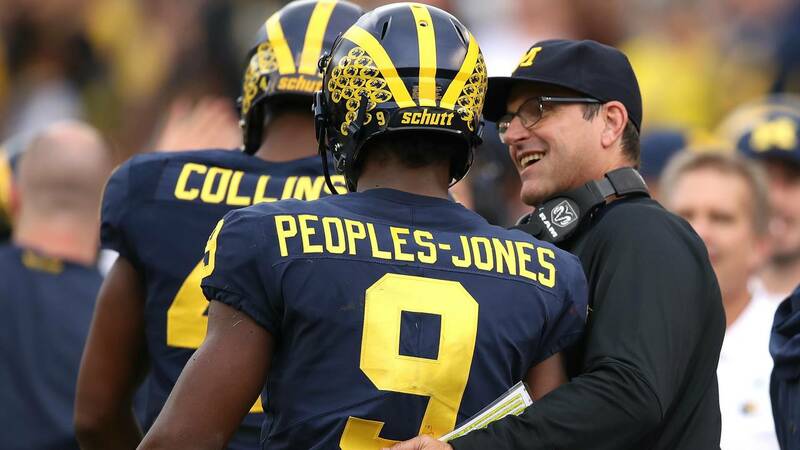 Last week, we broke down where the Michigan program stands in the landscape of college football and determined it belongs in the middle of the second tier. There is an exclusive group of elite teams in the top tier of college football. Alabama, Clemson and Ohio State are full-time members, while Oklahoma and Georgia are making pushes. Beyond those schools, Michigan has enjoyed as much recent success as any program. Florida is another school in that second-tier range, although its success hasn't been as sustained as Michigan's in the last few years. Michigan already knocked off Wisconsin and Penn State this season, and the win at Michigan State was also impressive. To prove it's in that just-below-elite tier, Michigan has to beat other teams in its category. Florida is a perfect opportunity. Michigan will never be a true national championship contender if it can't beat Ohio State, and it will never be able to beat Ohio State if it can't dominate the second-tier teams. The Peach Bowl doesn't have any bearing on next season's national championship picture, but it will be a gauge on if Michigan is still trending in the right direction. It might surprise you, but Michigan has never played in the Peach Bowl. The Wolverines have won eight Rose Bowls, one Sugar Bowl, one Fiesta Bowl and one Orange Bowl. The Peach Bowl is one of the few major bowl games that have eluded Michigan. No team in college football history has won all six major bowl games -- the Rose, Fiesta, Orange, Peach, Sugar and Cotton bowls. Oklahoma, Ohio State, Penn State, Notre Dame and Texas have each won five of the major bowl games, with all needing a Peach Bowl victory. Michigan can get one step closer to achieving that rare feat with a win over Florida. Then, it would only need a Cotton Bowl win to add another achievement to its storied history. Michigan has reached double digits wins 29 times in school history, but picking up the 11th win has been much more difficult. Since the year 1910, the Wolverines have reached the 11-win mark only five times. They did so under Lloyd Carr in 2006 and under Brady Hoke in 2011 but haven't been able to eclipse 10 wins under Harbaugh. No matter what happens in the bowl game, this will probably go down as Harbaugh's best year at Michigan, but an 11th win would make it an easy discussion. Michigan was in the same position in 2016 but came out flat in the Orange Bowl. Michigan's ultimate goal is to win a national championship, and it will never be able to do so with 10 wins. Reaching the 11-win mark is another small hurdle the program needs to overcome. One of the major differences in the Michigan football program since Harbaugh arrived is the national recruiting footprint. Harbaugh isn't solely focused on landing recruits in the Midwest -- he wants to find the best players in the country. Georgia is one of the most talent-rich states in the nation for football, and Harbaugh is trying to create a pipeline between the Peach State and Ann Arbor. Michigan currently has four players on its roster from Georgia: Aubrey Solomon, Christian Turner, Michael Barrett and Myles Sims. There are three more players from Georgia committed to Michigan in the 2019 class. The Peach Bowl is an opportunity for Michigan to showcase itself in one of the nation's most important states. Most of the elite programs in the country -- primarily Georgia and Alabama -- recruit the state of Georgia heavily, and Michigan is desperately trying to catch up. If the Wolverines can go into Georgia and beat an SEC team with a huge southern brand, it would be a bonus in recruiting. The ongoing perception war between the SEC and the rest of college football is very real, and it actually impacts the championship race. Preseason perception of the SEC leads to the conference getting more credit for victories and less punishment for losses. If it wasn't for a massive outlier in Alabama, the Big Ten would be considered just as strong as the SEC. This weekend's final CFP poll was the latest example. Georgia suffered its second loss of the season to Alabama -- to go along with a 20-point loss to LSU -- and stayed ahead of Ohio State, which won a Big Ten championship and finished 12-1. Harbaugh has played three games against the SEC in his Michigan tenure -- beating Florida twice and losing to South Carolina. He needs to win a third game against Florida to keep a winning record against what's considered the strongest conference in the country. Michigan ranks among the top teams in college football with 47 bowl appearances, but its record is still below .500. 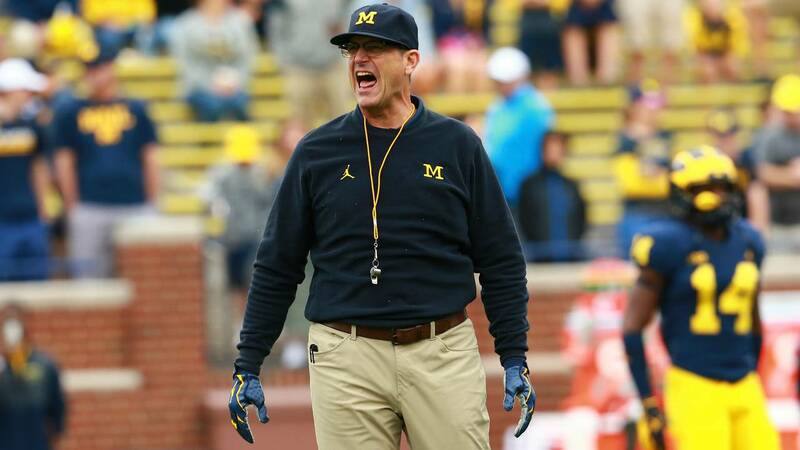 The Wolverines are 21-25 in bowl games and 1-2 in three years under Harbaugh. Since Michigan is playing in big bowls every season, these games are usually opportunities to pick up statement victories against teams it doesn't play often. Michigan has had success against Florida, winning all four matchups in school history and dominating both games under Harbaugh. The Peach Bowl is an opportunity for Harbaugh to get back to .500 in the postseason. 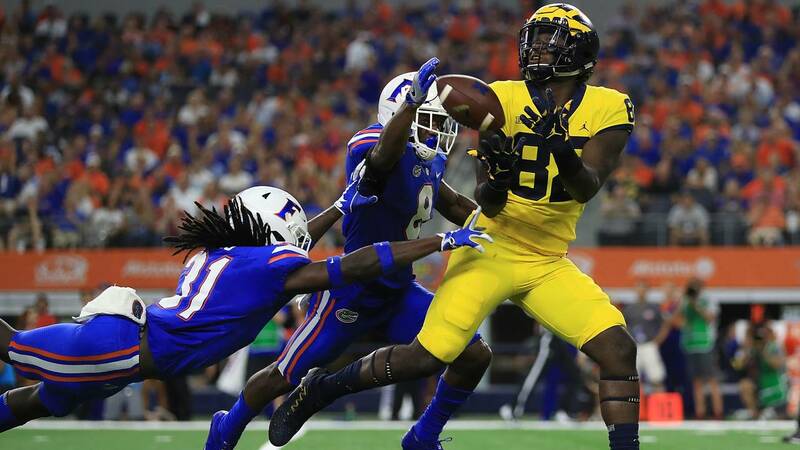 Michigan tight end Nick Eubanks catches a 48-yard pass from Wilton Speight against Florida (Ronald Martinez/Getty Images). Four bowl wins is manageable, but Michigan certainly doesn't want to fall even further away from even in its bowl history. It was within two games of .500 after the 2016 Citrus Bowl, but is in danger of losing its third straight. Bowl games don't matter for championship runs, but they matter for programs. Michigan needs to do a better job winning these games. Michigan will have national championship aspirations again next season, but there will be a new crop of players leading the charge. On defense, Chase Winovich and Tyree Kinnel will graduate. Rashan Gary announced he will enter the NFL draft, and several others -- Devin Bush, David Long and Lavert Hill -- could follow. Offensively, Karan Higdon, Juwann Bushell-Beatty and Grant Perry will graduate. Shea Patterson, Ben Bredeson and Zach Gentry have decisions to make on the NFL draft. 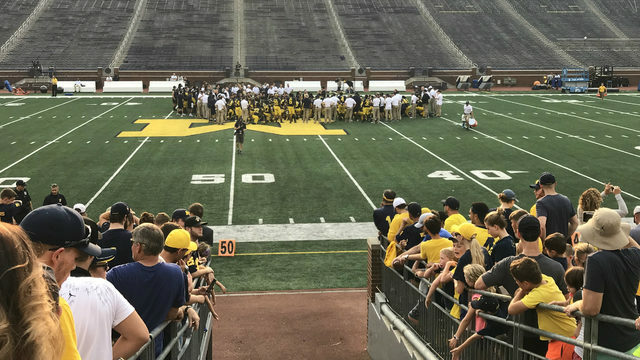 There are plenty of open spots for the players lower on Michigan's depth chart, and the game against Florida should offer a look at those options. Harbaugh announced Gary will not play in the Peach Bowl, and any other players who declare for the NFL draft are likely to make the same decision. That means the 15 practices leading up to the bowl game will be an opportunity for others to get a head start on next year's playing time. Florida is a top 10 team, so the Peach Bowl will be a good gauge on Michigan's depth. 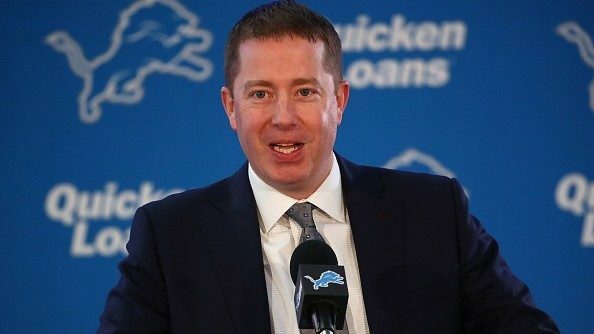 NFL draft prospects have every reason to sit out these bowl games, but for others on the roster trying to crack the rotation, the entire bowl process is critical.